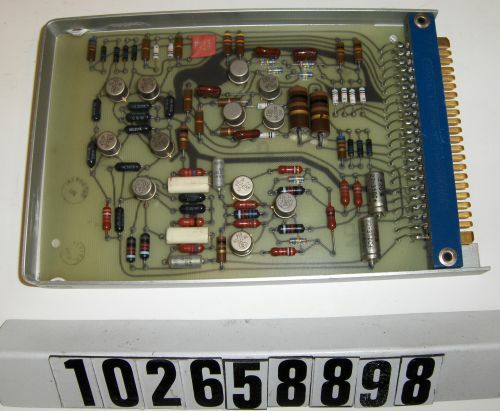 The board is covered in various active and passive components which are surrounded by an aluminum frame and a blue plastic 22 pin male connector. There are two round inspection stamps on the component side, one of which is very faint. 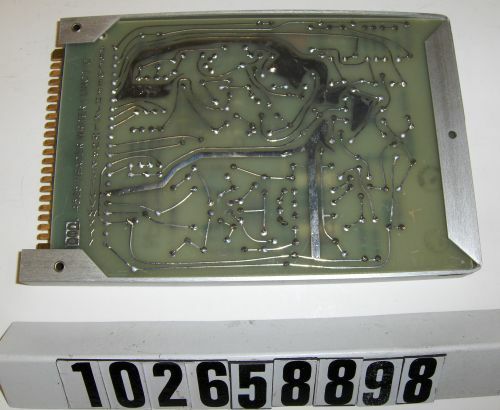 On the solder side there is a grid lettered A-Z.